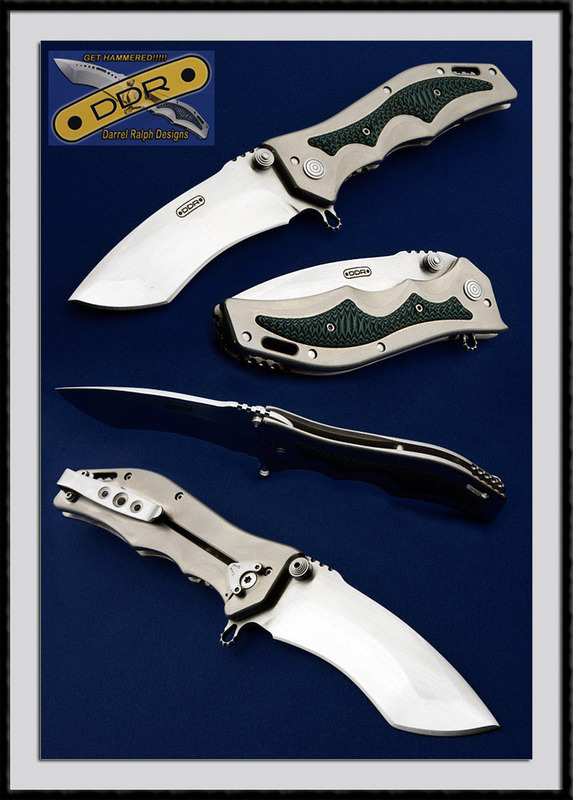 Darrel Ralph crafted this DDR assisted opener he calls his "Gun Hammer", S30V blade steel, BL = 3 3/4", OAL = 8 3/4", Ti satin finished Frame, G10 on-lay. Fit and finish are very good. Condition is near Mint with only a few very light handing marks.